The Minnesota Twins have selected shortstop Royce Lewis from JSerra Catholic High School in San Juan Capistrano, California with the first overall pick. The Toronto Blue Jays select 22nd and 28th in the first round and 61st in the second round. You can follow the draft at MLB.com or click right here. Baseball America has this story on Warmoth. Compared to Zach Cozart, J.J. Hardy and Brian Dozier by MLB Network Analysts. @KeeganMatheson It's possible Warmoth stays at SS. Not flashy, but solid. A little Devon Travis, a little Cavan Biggio (from #BlueJays 2016 Draft) in there. 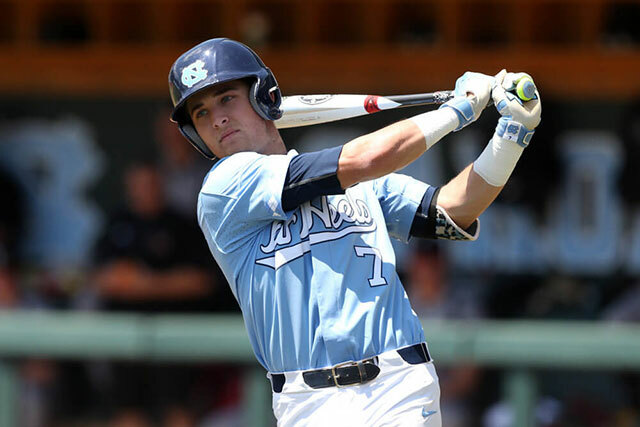 @Sportsnet Logan Warmoth is the first #BlueJays pick from UNC taken in the 1st round of the MLB Draft since Russ Adams in 2002. 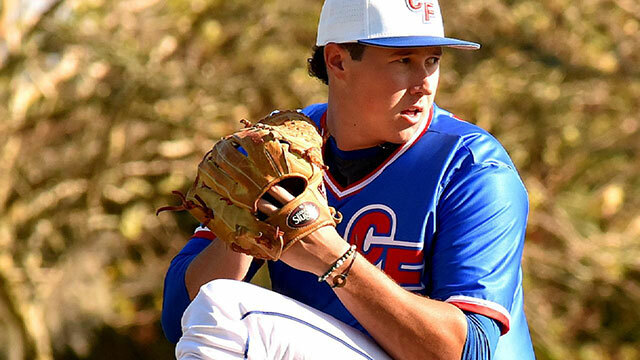 It's a good year for hard-throwing pitchers in the Florida junior college ranks, with a few who have the chance to go in the top three rounds. Pearson put up video-game type numbers at Central Florida this spring, raising his Draft profile in the process, then created a huge amount of buzz by hitting triple digits consistently in a bullpen session in late May. There is no question about the quality of Pearson's fastball coming from his 6-foot-6 frame. He was consistently up to 97 mph all spring and has shown an ability to throw strikes with it as well. His secondary stuff, however, has been inconsistent. He throws both a slider and a curve, though the latter is his fourth pitch, and on some days he has two distinct, effective breaking balls. At other times, they run together, and it might serve him well to focus on just one at the next level. His changeup has improved, but it also comes and goes. There is an injury history with Pearson -- he had a screw put in his right elbow in high school -- but he's been nothing but healthy and durable in junior college. There's some debate over whether his future lies in the rotation or out of the bullpen, where his stuff would play up, but there's bound to be a team that believes he can start that will take him in the early rounds. Video. Baseball America had this story on Pearson in April. Josh Norris @jnorris427 The #BlueJays selected Nate Pearson, who recently threw 102 mph in a bullpen session. Video. 2nd round, 61st overall. 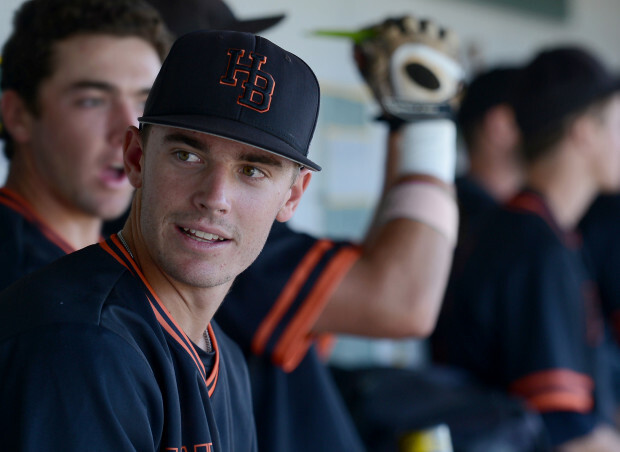 Hagen Danner, RHP/C, Huntington Beach High School. Bats Right, Throws Right. 6-foot-2, 195 pounds. Born September 30, 1998. Eric Longenhagen‏ @longenhagen Hagen Danner has plus raw, needs reps to be viable backstop but I think he has a chance. I had him in as a C.
JJ Cooper‏ @jjcoop36 Blue Jays take Hagen Danner at 61 as a C. Was a true 2-way guy who could have gone either way. Ranked 61 on #BA500. Kyle Glaser‏ @KyleAGlaser Hagen Danner goes as a catcher. One of the mysteries of the draft was if he'd go as a pitcher or catcher. #BlueJays make the call. Brian Sakowski‏ @B_Sakowski_PG #Jays going with Hagen Danner, prefer him on the mound, advanced curveball.